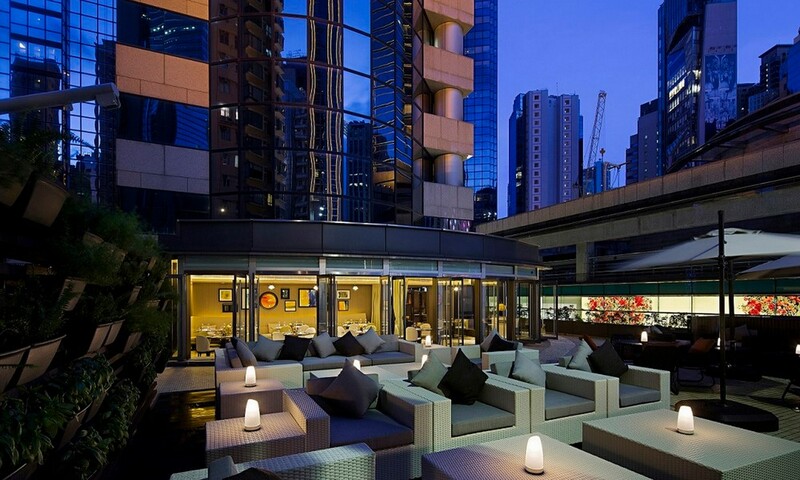 With a skyline like ours, it comes as no surprise that there’s plenty of restaurants and bars in Hong Kong which have some amazing rooftops and al fresco terraces. 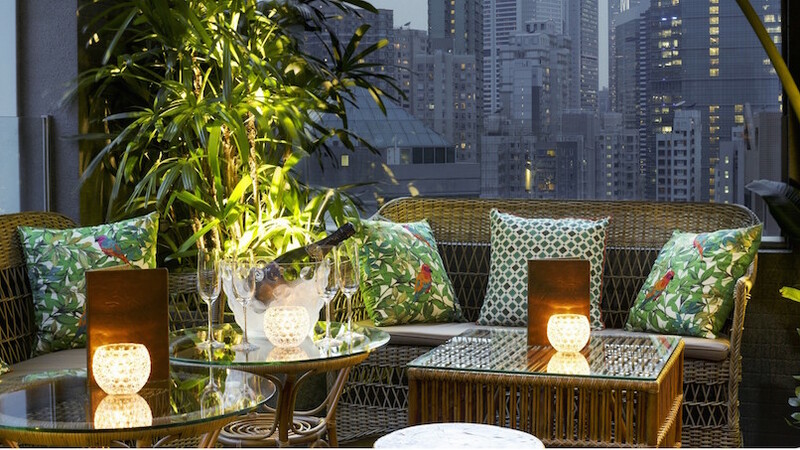 Everyone knows how much we like drinking (and eating) outside once the sun is out so we’ve put together our favourite outdoor bars in the city to give you something to look forward to while the fog clears up. 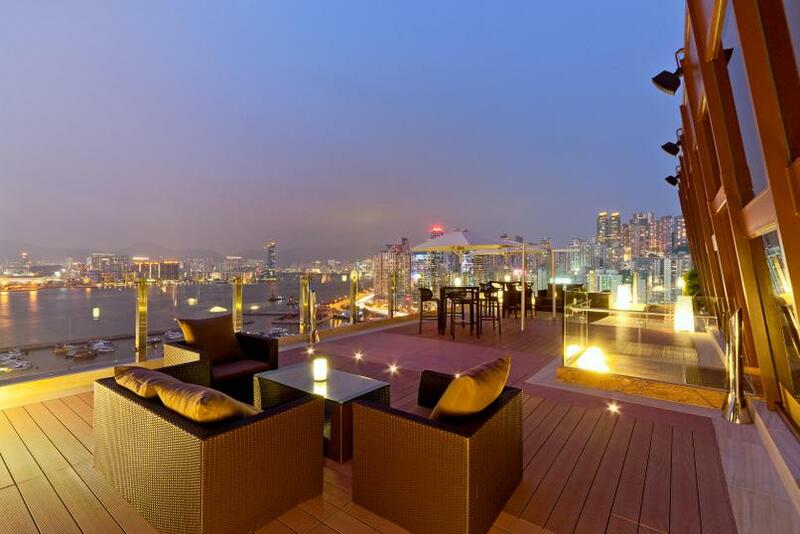 The stunning view of the harbour from the rooftop lounge. 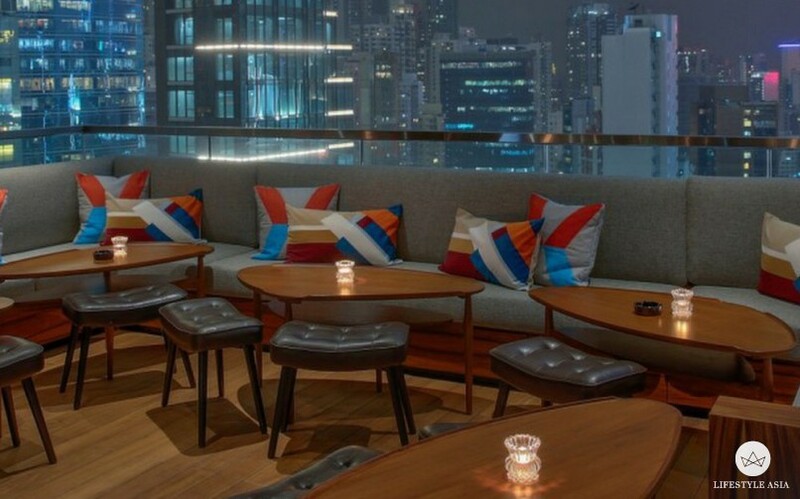 Opening this Thursday is Bulldozer Group’s first restaurant in Hong Kong, Seafood Room. 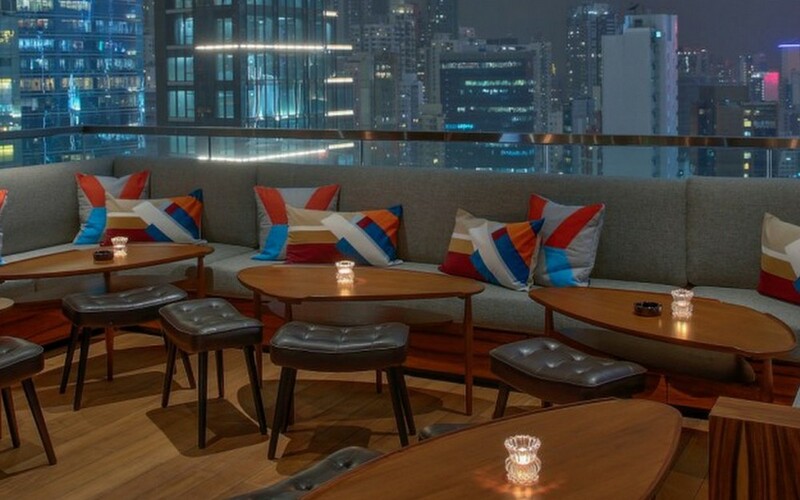 Located on the top floor of the brand new Tower 535 skyscraper in Causeway Bay, the restaurant has its own outdoor terrace and 2,000 square foot rooftop lounge. 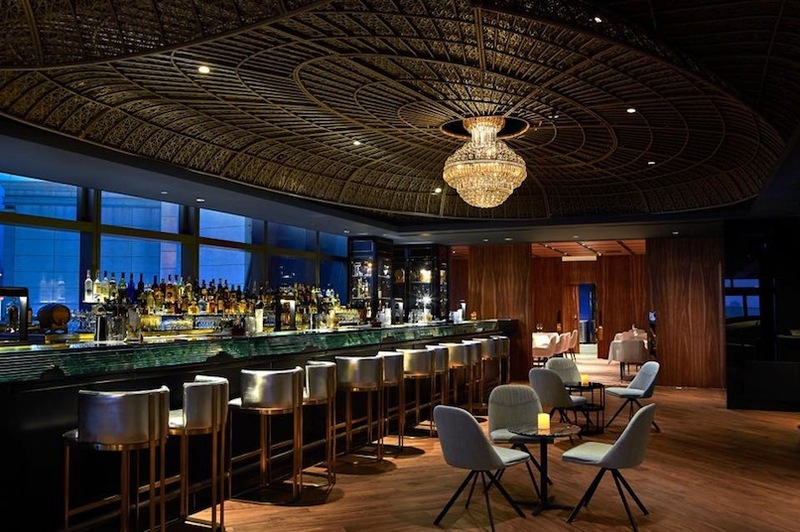 The lounge offers a mesmerising, unobstructed view of Victoria Harbour from Hong Kong Island and will be host to live DJ sets every evening, handcrafted cocktails and the finest cigars. It goes without saying that this is one of the hottest bars to head to this year. Unwind among the lush greenery. Mahalo (sister to Central’s Honi Honi) is probably our favourite bar in Wan Chai at the moment. The tiki rooftop bar features a blend of tropical and local-influenced design throughout and is a truly relaxing and unassuming space to unwind over a few rum cocktails. Take a spot on their open-air terrace and watch as the sun sets for the ultimate experience. Maison Eight is one of the biggest openings in TST. Four-in-one social space Maison Eight is a new luxury restaurant and cocktail bar set to open later this month with its own private ‘Ballroom’ and terrace as well as the world’s first Bollinger champagne room, LE CLUB 1829. Proving that Kowloon is fast becoming the place to be in Hong Kong, The Ballroom at Maison Eight will be the place to drink and party in Tsim Sha Tsui and will feature a rotation of carefully-curated live performances and international DJs. They will also serve an all-day menu featuring cheese platters, deep fried potatoes with truffle and double cheese, a decadent lobster burger with tarragon mousseline and smoked Balik salmon on flatbread with sour cream, chives and capers. One of the best hidden bars in Causeway Bay. Hidden away at the newly-renovated The Park Lane Hong Kong hotel in Causeway Bay is RIVA & The Deck — a gorgeous restaurant and outdoor bar which can fit up to 400 people where you can enjoy light Asian-inspired bites, cocktails and an impressive selection of new and old world wines from Australia, California and France. Head there during the week for soulful tunes courtesy of their resident pianist. Great for an intimate catch-up with friends. Tartine serves up more than just your carb fix. 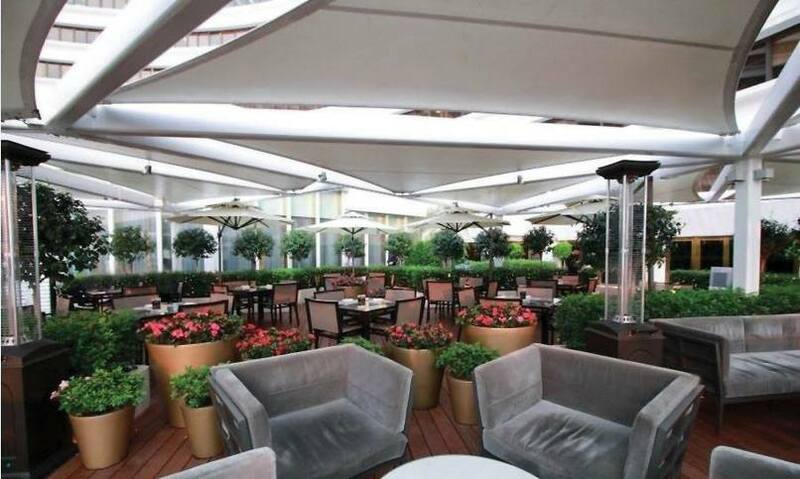 It’s also home to an elegant bar and terrace area where you can enjoy cocktails and wines until late. The space is cosy and intimate and their drinks menu showcases a selection of craft beer, wines and cocktails such as the Lillet Vive (Lillet Blanc, Fevertree tonic water, cucumber and mint) and Mayahuel (Cimarron Tequila, Mina Real Mezcal, agave syrup, haberno pepper). A French garden experience at ÉPURE. 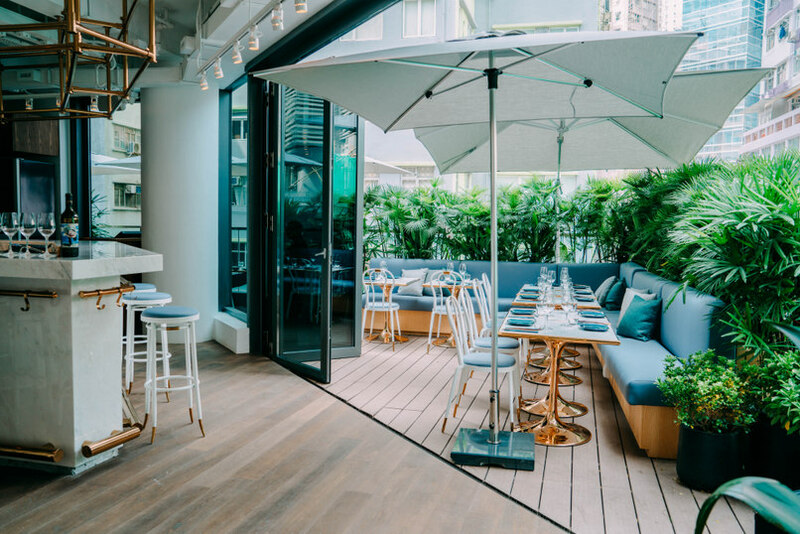 One of our go-to spots for some serious French fine-dining in Hong Kong, ÉPURE’s designer-worthy restaurant opens out onto their garden terrace. 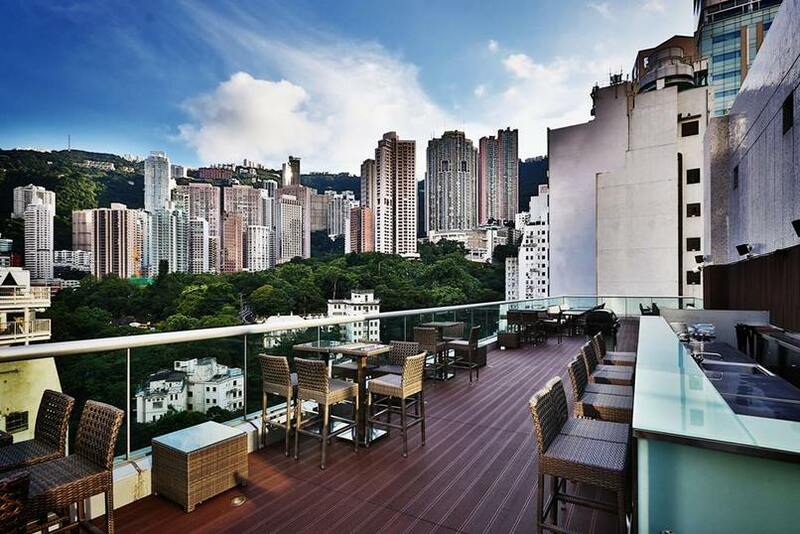 Here you can enjoy French bites such as hand-cut pommes frites with black truffle sauce and mustard, Speciale Marennes d’Oléron oysters, a selection of cheese by Xavier from Toulouse, petit lobster and black truffle rolls and toasted ham and comté cheese fingers while you admire the Hong Kong skyline. As for drinks, ÉPURE offers a selection of fine French wines for an ‘Aperitif by the Harbour’ from 3pm t0 9pm daily as well as cocktails such as Fantasy Hot (Belvedere Vodka, spicy mango, banana liqueur, lemon, pineapple and grenadine), Cucumber Fizz (Hendrick’s Gin, St. Germain elderflower liqueur, lemon and cucumber) and Royal Empire (Royal Salute whisky, Grand Marnier orange liqueur, lemon, cinnamon and orange bitters). Drink in the view of the mountains over a couple of cocktails. 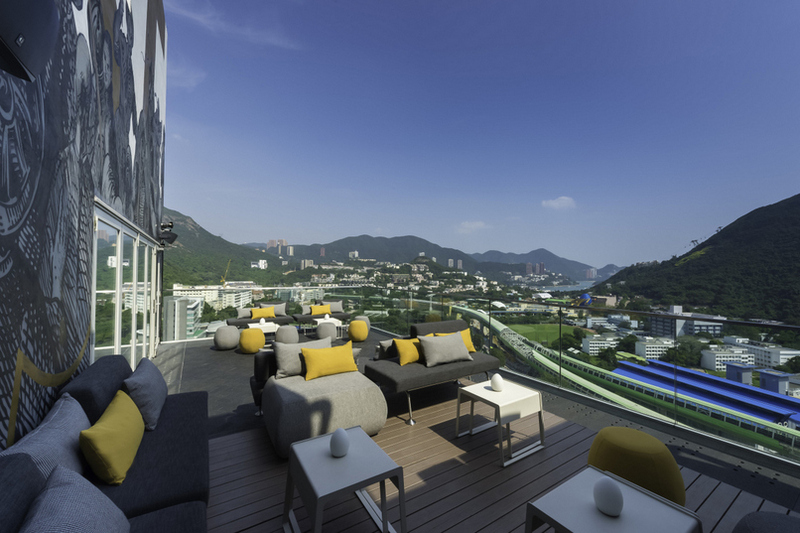 Yes we know, Ovolo Southside’s rooftop bar is a massive trek. But if you have time to pop over during the weekend or happen to get off work early one evening, Above’s unique views and discreet atmosphere are definitely worth it. It’s also a great hidden gem to take friends to if they’re fairly new to Hong Kong. Oh and definitely just Uber it. End your night with a cheese platter and wine. Located on buzzing On Lan Street, On Dining Kitchen & Lounge is a great place to spoil your loved one for dinner but is also perfect for happy hour on their outside terrace. The bar serves up classics with a twist such as “Bloody Mary Our Way” (tomato soup, Maldon Peppercorns Vodka, French mustard, cayenne pepper and lemon juice) and an Old Fashioned that takes eight minutes to make alongside a Mediterranean menu of bar snacks. Stop by Fofo by el Willy’s rooftop for some Spanish cocktails. The lovely rooftop at FoFo by el Willy is still one of our top choices for a couple cocktails and a view of the skyline in Central. Besides what goes better with a great view and drinks than modern Spanish tapas? We recommend going for one of their sangrias (available with red and white wine) or the Spanish G&T (gin, chambord, tonic water and strawberries). A chic and comfortable spot for a post-work tipple. 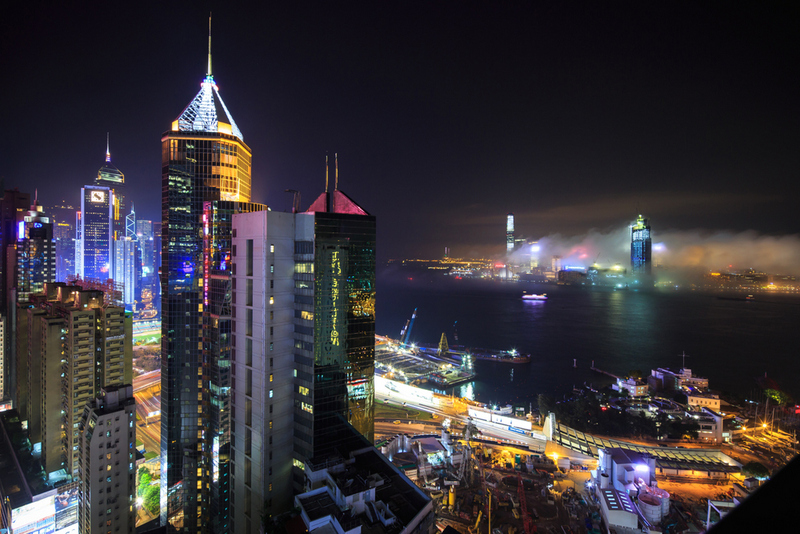 Causeway Bay is the place to be if you want to escape the crowds of Causeway Bay. We recommend heading to Seasons by Olivier E. in Lee Gardens Two. Their romantic garden terrace boasts a fine selection of French label wines, cocktails and French nibbles. Yi Li is your typical half-Brit half-Chinese hybrid with a serious case of wanderlust. When not writing, she's either on the hunt for the best new cocktails, on a hike or enjoying a sinful bowl of truffle fries (and working them off at XYZ). Follow her @yilidawson on Instagram or Twitter.